Navigate through mirrored corridors and get lost in a modern-day fairy tale on your quest to find and rescue Princess Hannah of Savannah, twisting and turning through 288 potential turns along hundreds of walls and mirrored archways. Team up with King Oscar, Queen Emmy and the Wizard of the Golden Globe to find the Princess before your time runs out. 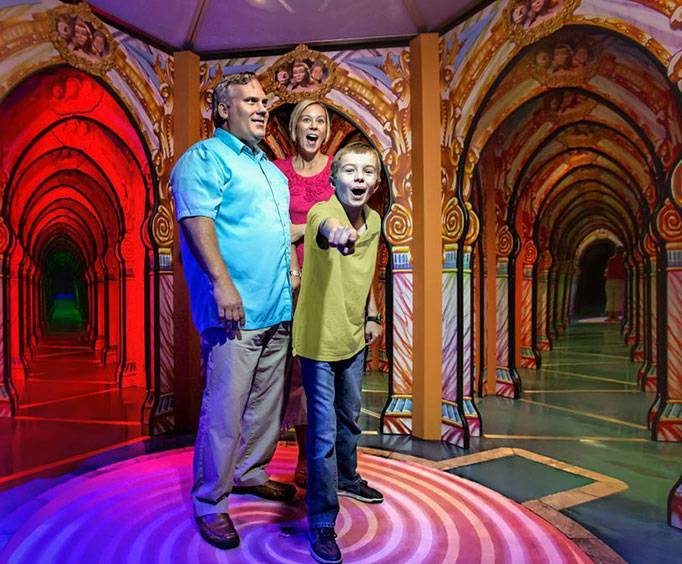 Try not to get lost in this expansive maze that has been named one of the best mazes in Myrtle Beach! 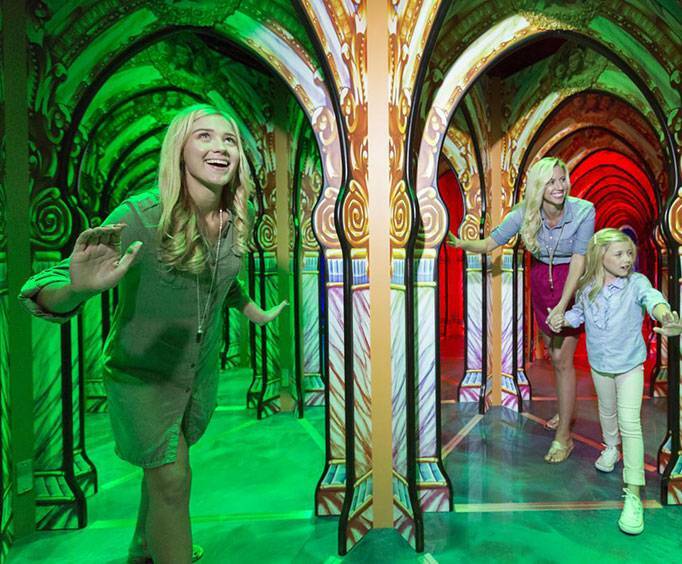 Family fun is the main quest at Hannah's Maze of Mirrors, and with every twist and turn within the mirrored castle you'll discover the amount of entertainment contained inside. Search for the Princess as the Chosen One, and save her from a witch that has hidden Hannah somewhere in the midst of the mirrored corridors and archways. No matter where you turn, you will come face-to-face with your own reflection, making this quest even more of a challenge than you might have thought. This is a fantastic activity for all ages, so be sure to bring your entire family along to aid in the rescue of Princess Hannah of Savannah! Your admission ticket grants you the opportunity to not only experience all of the fun at Hannah's Maze of Mirrors, but also Outbreak - Dread the Undead, and Hollywood Wax Museum. Guests spend about 20 minutes here. 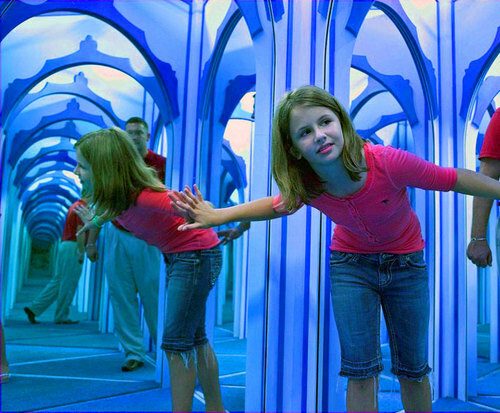 Is Hannah's Maze Of Mirrors handicap accessible?